The rollout of autonomous vehicles will have far-reaching impacts on technology, business and social interactions, but it also will set in motion a whole new side of technology development and new legal frameworks to prove what went wrong when these vehicles are involved in an accident. This isn’t just something to plan for down the road. The California Department of Motor Vehicles this week eliminated the requirement that autonomous vehicles need to have a driver present, in case of emergency. There is still a long list of rules about testing, and these cars need to be able to respond to cyber attacks and carry a black box, similar to airplanes. Carmakers do have to be able to operate vehicles remotely in case of a problem. And they need to communicate with police if something goes wrong, which it will, because no technology is perfect. But what comes next is where things get really interesting, because there is no precedent for autonomous electronics operating on this kind of scale. What this is expected to boil down to is a combination of adherence to the ISO 26262 standard, simulation, verification and physical testing, as well as time-stamping and a massive amount of data mining. Data will be stored such that it can be retrievable and then analyzed. From there it becomes a matter of whose fault it is, why the technology failed, where and when it was developed and by whom, and whether other vehicles may be affected. But it also will take time to evolve these rules for liability because the technology itself is new and evolving. But what exactly constitutes “eyes on” is open for interpretation, and it may depend to some extent on just how ready different countries or regions are to deal with this. Fig. 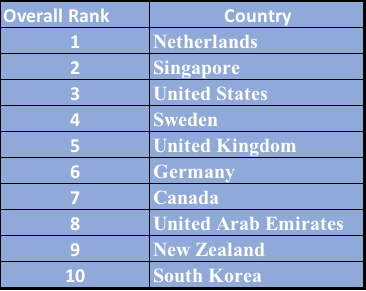 1: 2018 KPMG Autonomous Vehicle Readiness Index. Getting to that point will require a combination of simulation and physical testing, most experts agree, and it won’t end with the rollouts of that technology. The key is to establish a set of best practices that everything possible has been done to ensure that autonomous vehicle technology is as safe and reliable as possible, and then take quick action when problems do surface. Fig. 2: What’s at fault and why? The best example for how this has been handled in the past comes from the aerospace industry, which created an entire infrastructure to improve commercial airline safety. 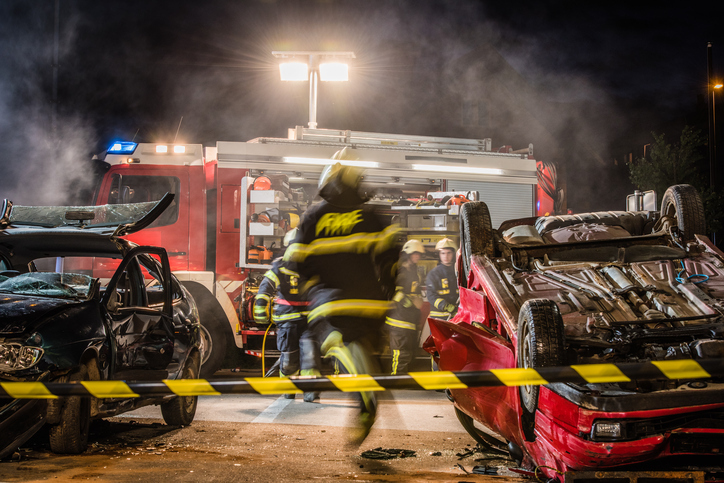 Even though there are many more possible permutations of a crash in a car, and many more cars on the road than airplanes, there are still parallels to be drawn. In that context, the first thing that comes into the picture is what was done during the development of that autonomous vehicle. “Here, ISO 26262 plays an important role in terms of how you go about development, tracking the requirements and tests associated with those things. This is a big part of the standard itself and the standard helps drive some of the behavior, the culture for functional safety such that you first try to avoid the problem coming in,” he said. But what happens after vehicles are deployed and a problem is found? How is the problem identified; how is a solution found; how is the traceability understood into what happened during the development so it doesn’t reproduce itself? The avionics industry has developed configuration management systems because everything is configured with different versions. In other cases, technology exists that has never been applied to the automotive world, such as time-stamping—the same technology that tells when a video was recorded or a wireless conversation was initiated and ended. Traceability is not just about semiconductors. It stretches back to design tools used to create those semiconductors. For this reason, there is a huge effort underway by tool providers to make sure their design and verification tool flows are certified by internationally-recognized testing body TÜV SÜD. Joerg Grosse, product manager for functional safety at OneSpin, explained that while OneSpin’s customers may be the semiconductor companies, which are considered Tier 2 suppliers in the automotive ecosystem, they are getting a lot of requirements from the OEMs and Tier 1 suppliers to provide evidence that they did a good job during development of the ICs. As with most issues in electronics, this requires much more up-front planning. All of this provides huge challenges, but it also big opportunities. Some of this can be handled in advance. Some if it has to be analyzed in retrospect, and that analysis needs to extend well beyond just the parts in a car. This includes project traceability management on all stages, from specification and design through prototype and actual production. And as self-driving cars begin rolling out throughout the world, we’re about to find out just how complex and time-consuming this ultimately will become. Conflicting goals, evolving standards and the need for new methods and tools make this an interesting market for chipmakers. Autonomous vehicles will cause fundamental shifts across a number of established industry segments tied to automotive, opening up big opportunities for chips and tools. Making sure ADAS designs function correctly over time will be an enormous challenge. Automotive manufacturers and chip companies reveal what they’re up to in realizing self-driving cars.